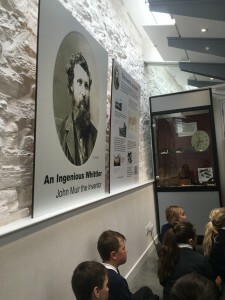 As part of the Primary 5/6 John Muir Topic, they were given an opportunity to visit Dunbar and the original birthplace of the man himself. 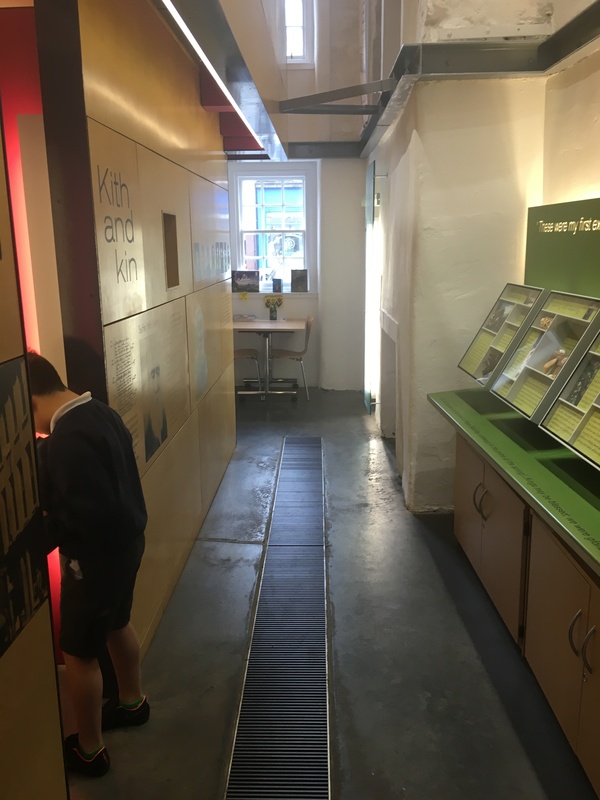 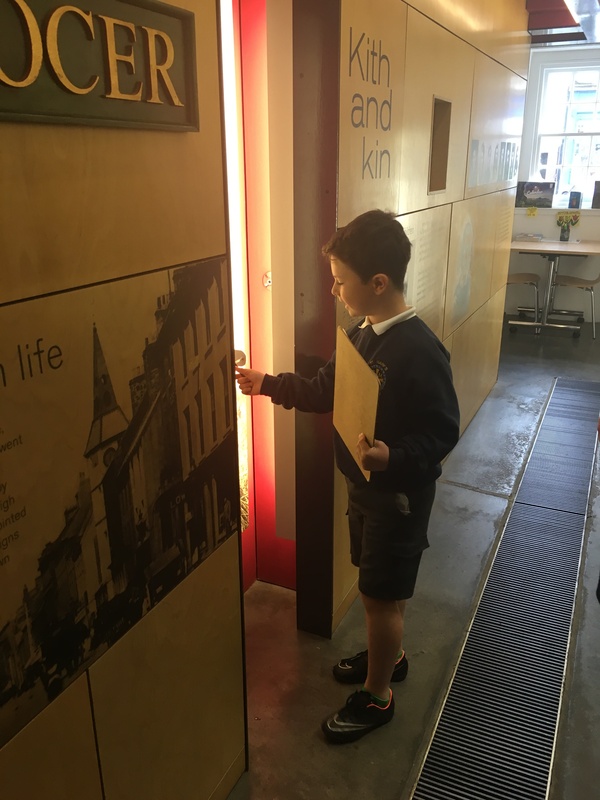 Here are some pictures of our adventure..
Having gotten the bus from the school to Dunbar, the John Muir Museum staff met the pupils at the swimming pool and walked them to the museum for their learning experience. The staff at the museum were excellent and welcomed the boys and girls of P5/6 with open arms and enthusiasm to the world of John Muir. 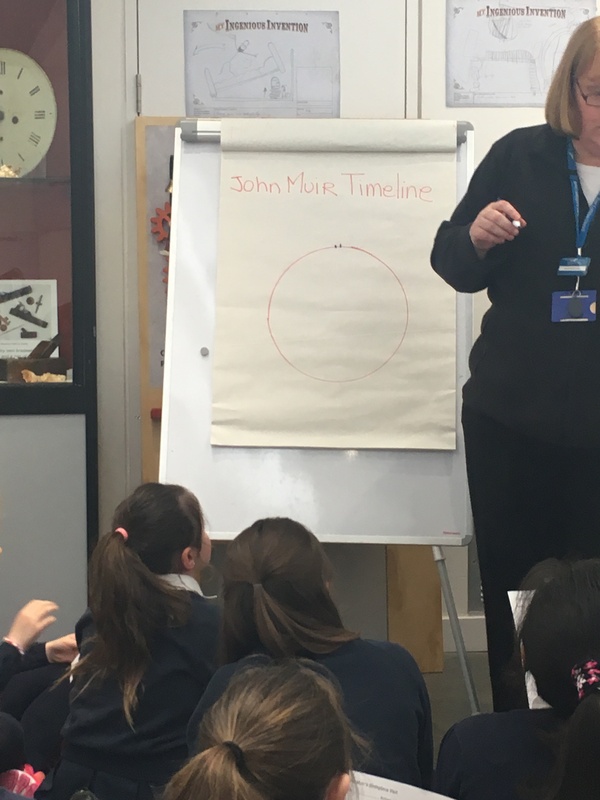 The class was introduced to the museum with a reflective activity that made them think about what they already knew about John Muir. 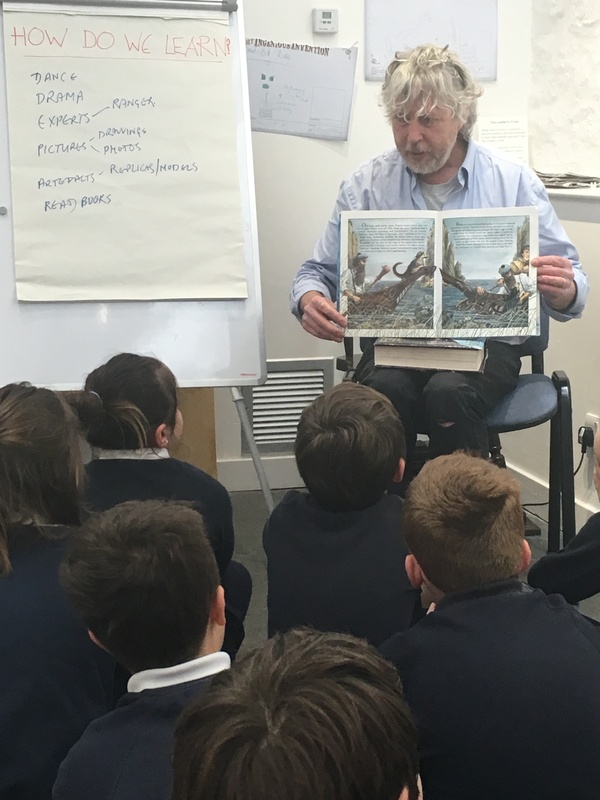 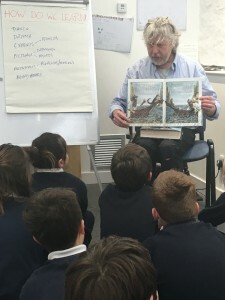 The staff at the museum were very encouraging and managed to squeeze a lot of information from the class before giving them a brief recount of one of John’s many adventures! The class were then split into three groups and were encouraged to explore the museum. 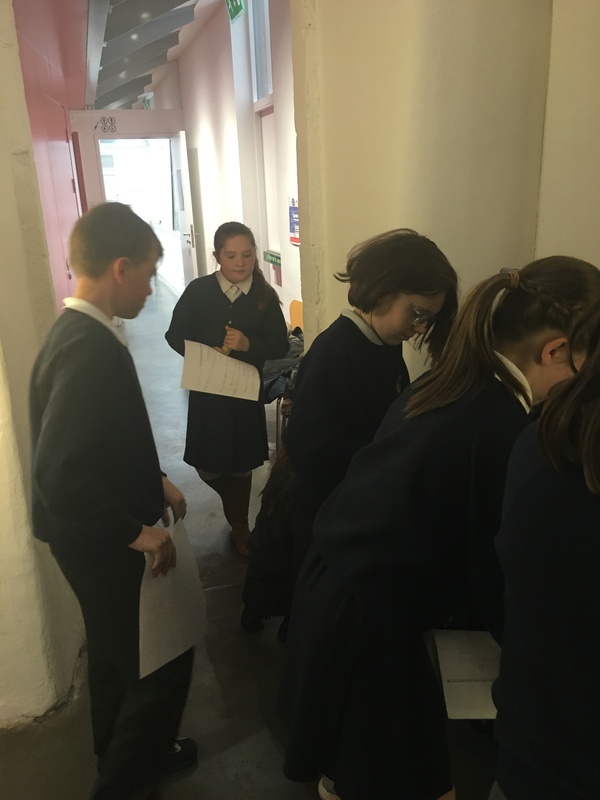 Each group was led to one of the three floors and given time to read and gather information using a sheet and a clipboard. 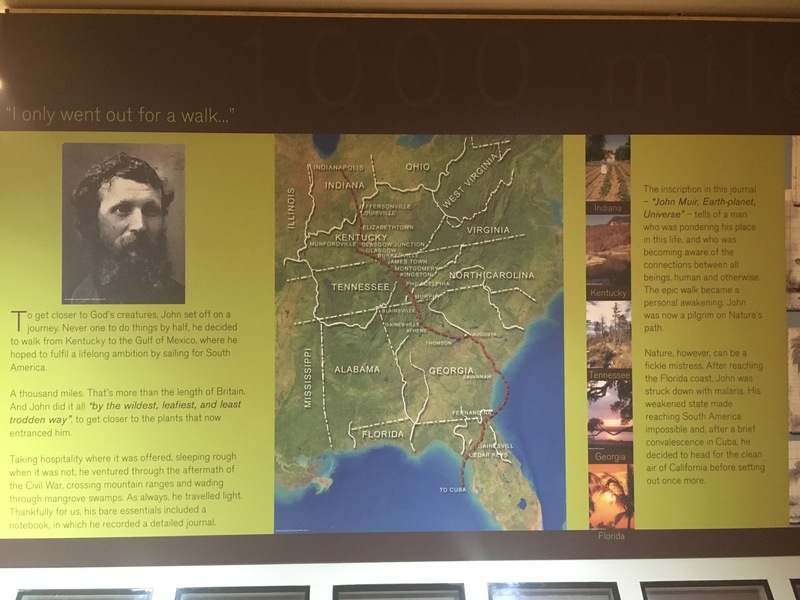 After 15/20 minutes on a floor, they were guided to another and that way were able to explore the whole museum and learn a huge amount about the life of John Muir. What they learned was then fed back to the class at the end and formed part of a John Muir Timeline. The trip proved to be hugely enjoyable and a valuable learning experience! 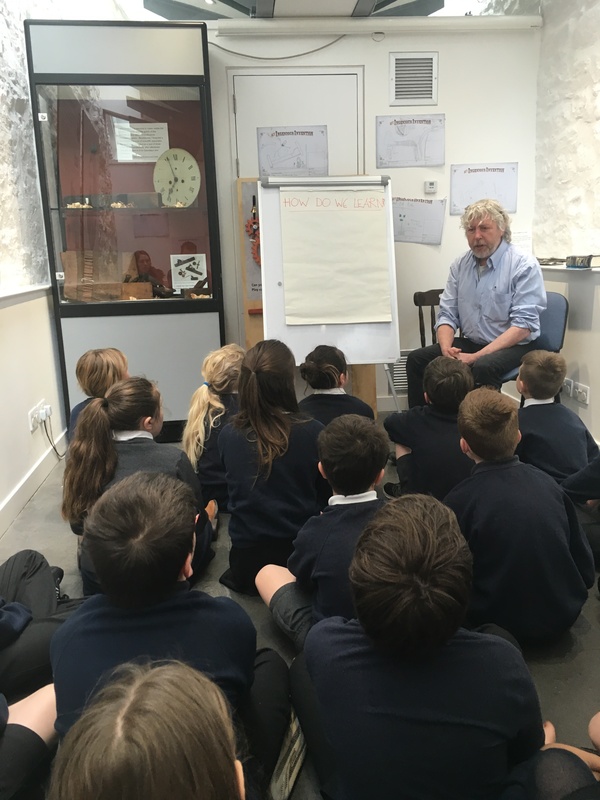 Thank you to all the staff at the John Muir Birthplace and Museum for their help and knowledge!